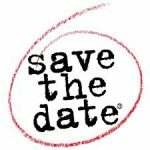 Just a quick note to invite you to save the date for the IRDG Annual Conference 2016. It takes place on Thursday, 27th October at the Helix in Dublin. This year it’s on the theme of “Unleashing the Power of Innovation”. We have some really exciting Irish and international speakers, and are looking forward to sharing more details shortly. Design Thinking is the subject of this year’s IRDG Annual Conference. During this really exciting day, you will learn how this creative approach to Innovation is being used by leading public and private organisations worldwide.